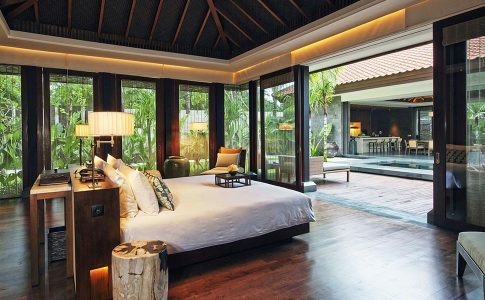 As if they haven’t wowed us enough, now you can go even grander at Suarga Padang Padang, with their recently unveiled, fabulous private pool villas, writes Katie Truman. 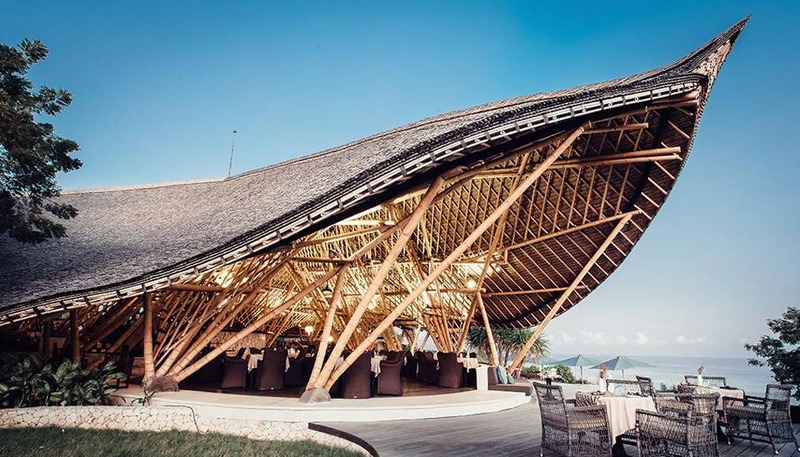 Last year I wrote about Suarga Padang Padang, a pioneering new boutique resort in Southern Bukit: designed and built following sustainability principles, almost exclusively from regenerated woods, bamboo and other sustainable materials and showcasing Indonesia’s culture heritage infused with modern travel comforts. 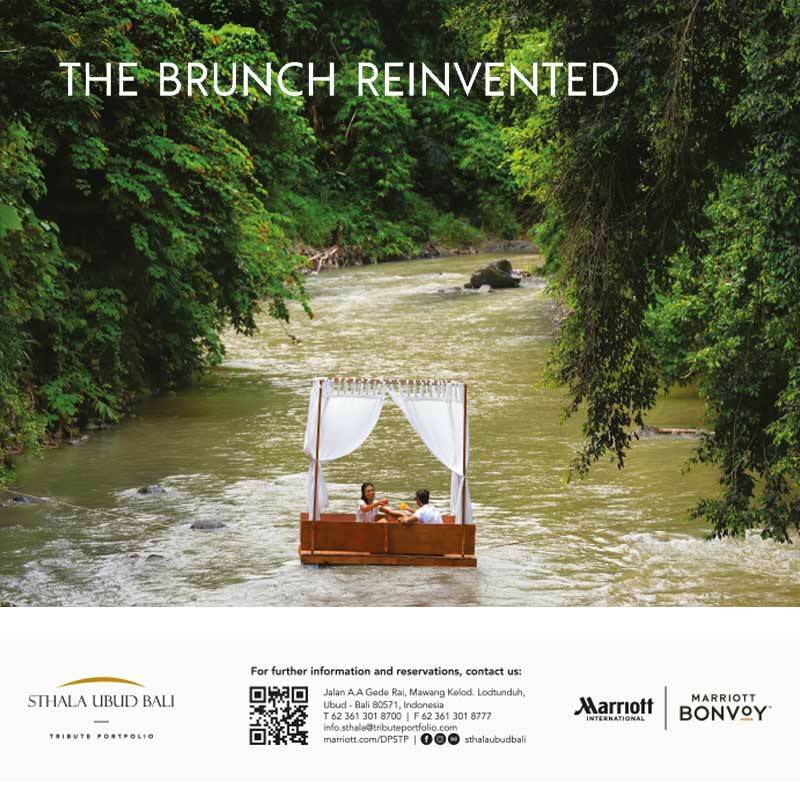 Arguably Bali’s most environmentally-committed and minimal impact resort. 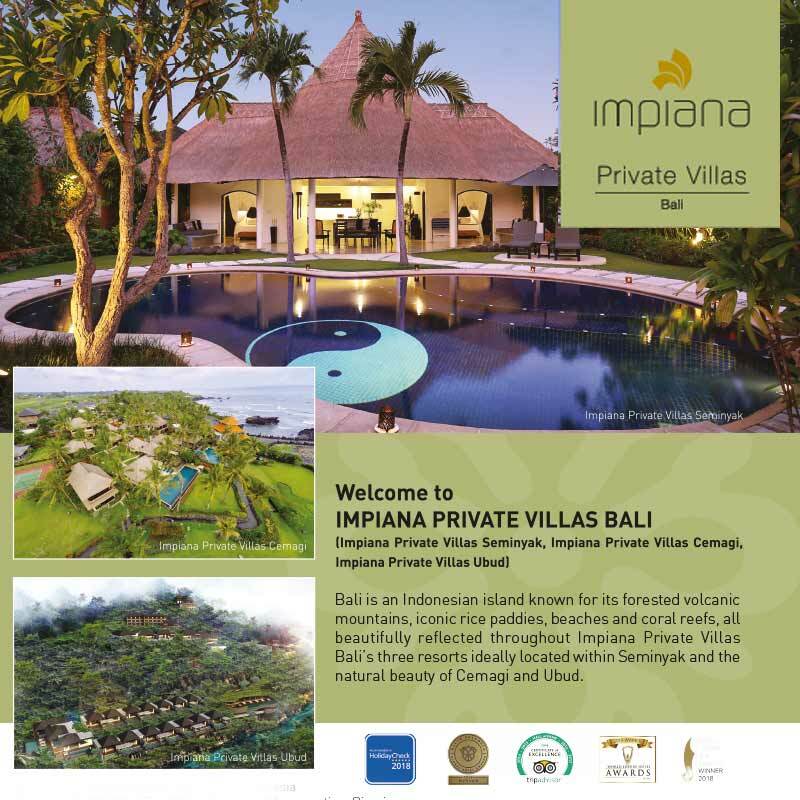 Since launching late 2015, the Suarga team however have been busy developing four sensational private pool villas, evidently saving the best for last, with these masterpieces now available. 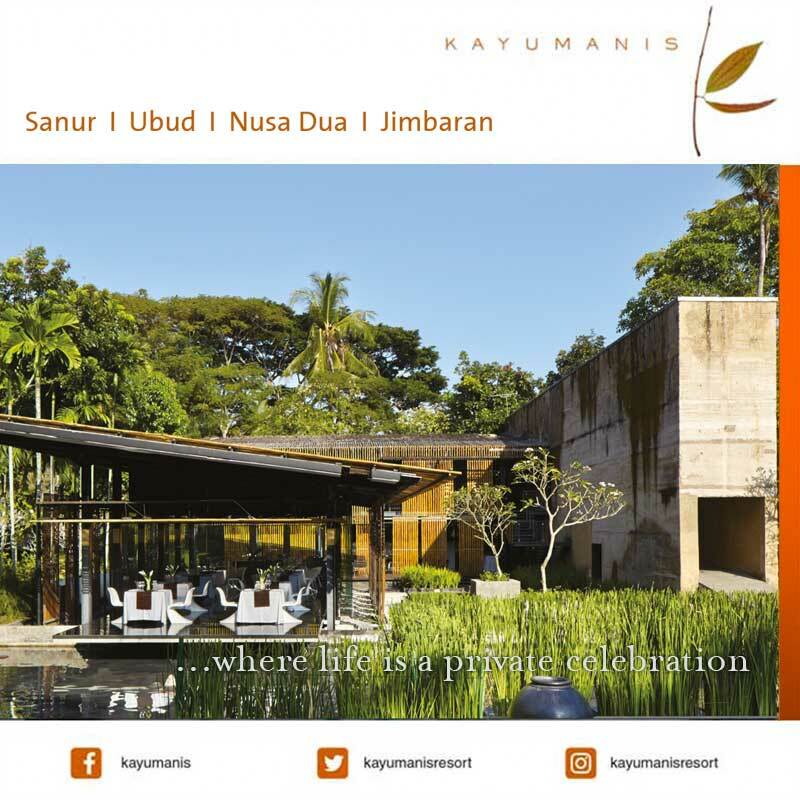 Unlike Suarga’s 23 rooms and 17 pavilions gently terraced down cliff-top grounds, these new villas are secluded on a ledge nestled into the 220-metre cliff frontage. 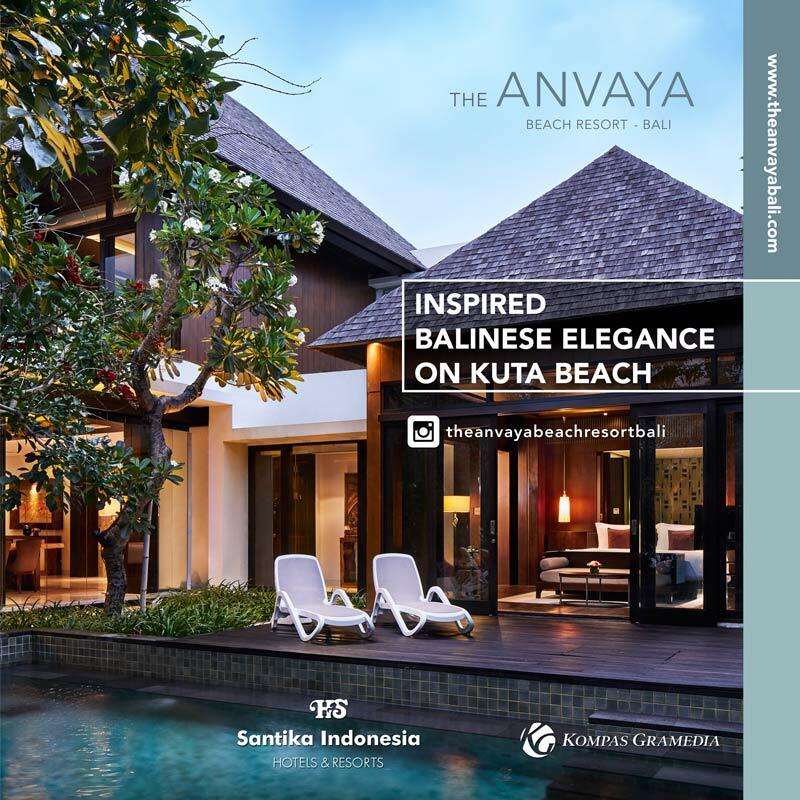 Replicating traditional Balinese residences, all four villas have nothing out front, save for 180-degree vistas of a never-ending bay and southern Bukit’s world-renowned surf breaks and white beaches, from Padang Padang to Dreamland. In this tranquil spot (which extends to neighbourhood Padang Padang, still a low-key surfie hangout), the only loud din is likely the crashing waves. 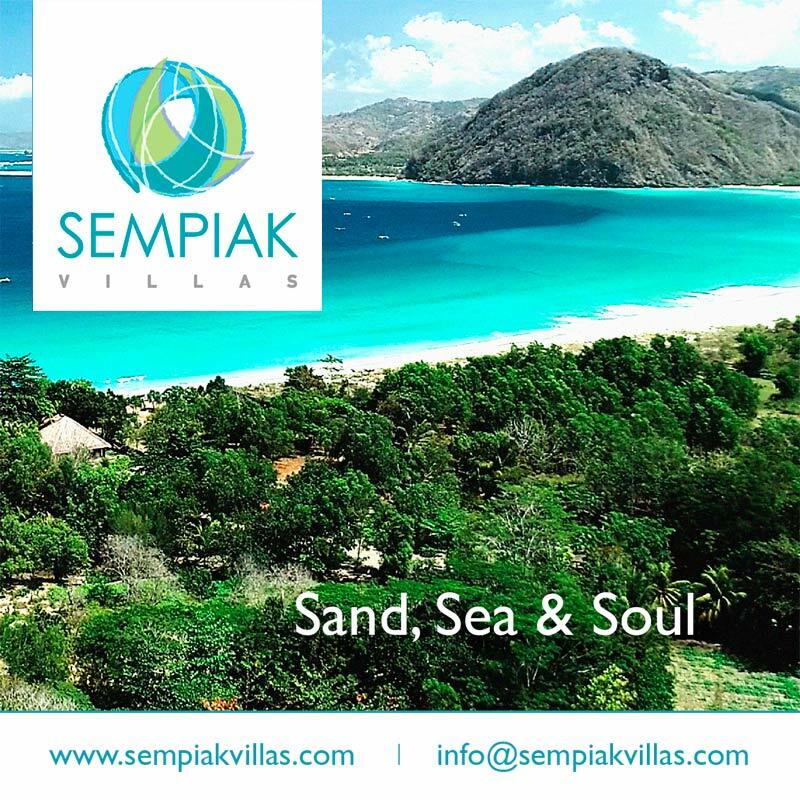 Grander and ultra-private, these main villas share Suarga’s trademark indigenous designs and environmental, repurposed commitment. 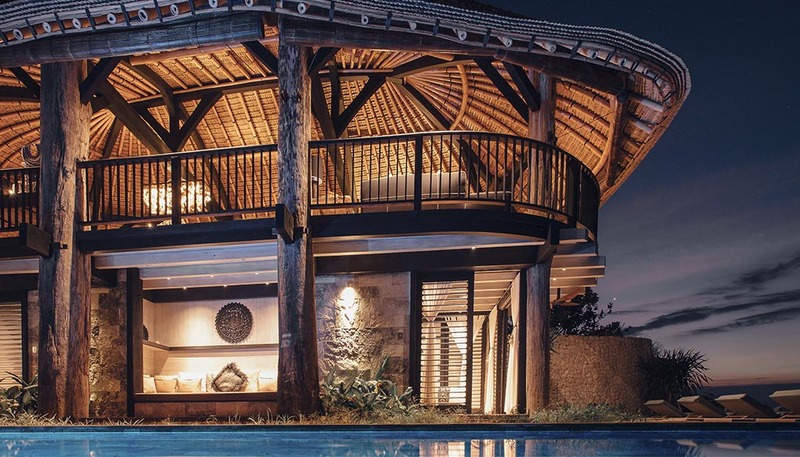 Carved into natural cliff contours in Suarga’s eastern section, a lavish-sized 750-square-metres, Bajau four-bedroom villa comes with a name inspired by Indonesia’s nomadic sea gypsies and idyllic for families or friends. Timbered stairs lead down to landscaped tropical gardens and a duo of two-storey pavilions flanking the 60-square-metre pool. 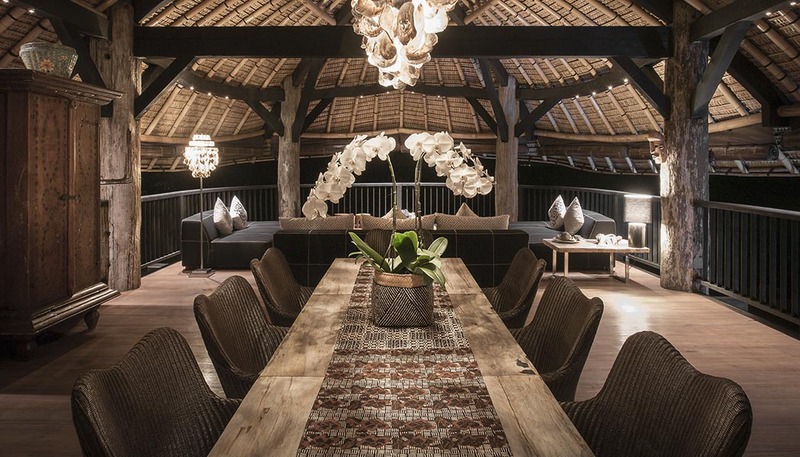 The first pavilion’s upper level reveals an oval-shaped, open-air living-dining space; simplistically rustic yet offering front-row seats for catching glorious sunsets or surfers riding legendary surf breaks, while a lengthy solid wood dining table, overhung with a massive oyster shell chandelier, sets a place for convivial group dining. 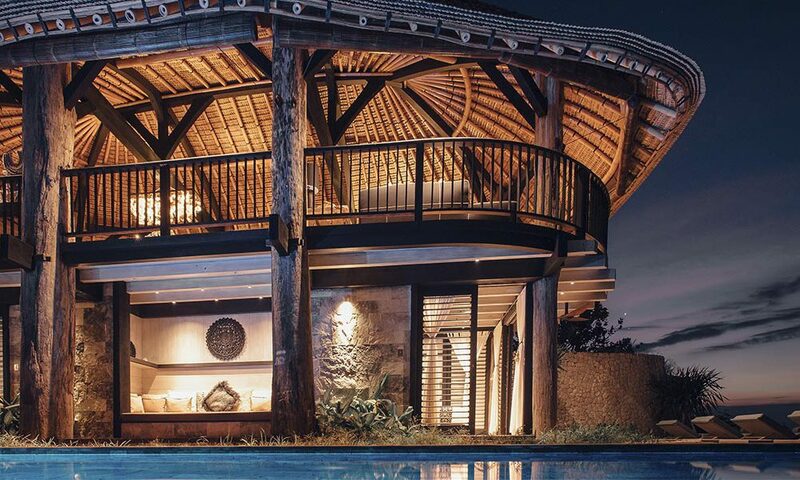 Similar throughout Suarga and these villas, repurposed ironwood from Borneo’s old bridges and pontoons, form the earthy-raw pillars, posts and beams built here, while flooring is crafted from teak wood dismantled from an East Java Dutch colonial hospital. 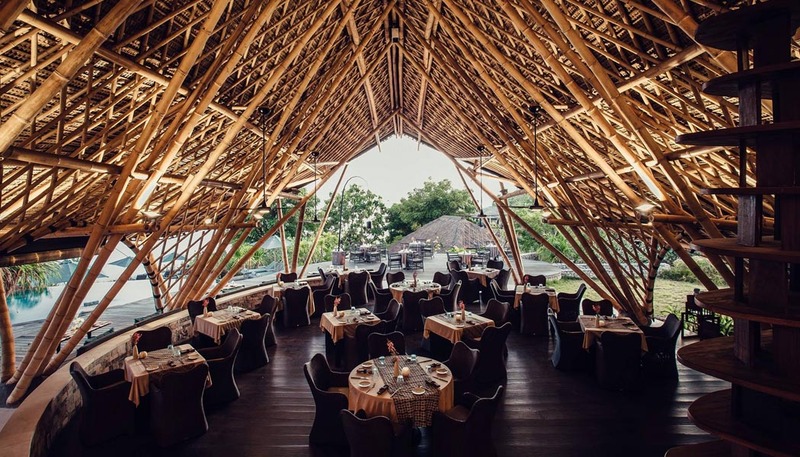 An overhanging rounded roof cleverly deflects heat and rain, thanks to its ingenious bamboo shingle coverage. The second, smaller open-air pavilion follows a similar pattern, but has been adapted for personal fitness and yoga. Spacious terraces surrounding the turquoise-hued pool (utilizing petrified wood as stepping stones) offers daybed chilling or dining under starry skies. 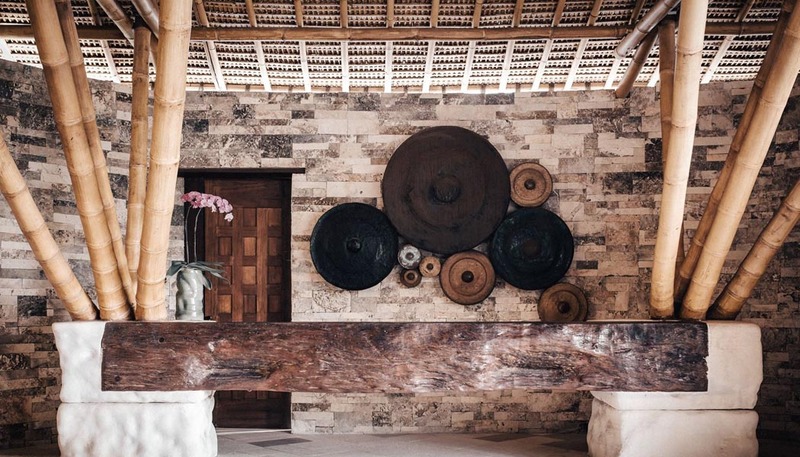 Bajau’s four guestrooms are well-spaced apart on the ground level, again typically Suarga, with natural stone flooring, whitewashed wooden walls and shutters made from repurposed Sulawesi Kubu wood, creating natural air circulation. Closest to the sea, the Master guestroom has its own private terrace and king-sized canopied bed pointing towards the ocean: wake-up to daylight streaming in and up-close wave sounds. Furthest back, heading-up the pool, a super-cute, cottage room is kid’s-inclined, with twin beds and, unusually, an indoor bathroom. 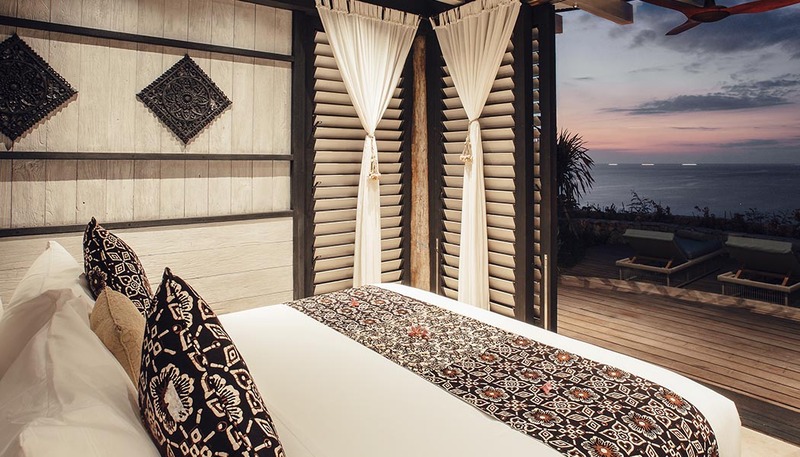 As elsewhere, rooms are individually and minimalist styled, showcasing archipelago heritage and craftsmanship, running from hand-sourced shell ornaments from Papua to boldly patterned, hand-printed Javanese batiks and bespoke furnishings by local artisans. 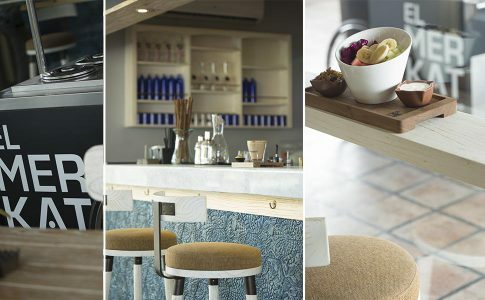 In Bahasa, Jurang means “cliff” and the three divine Jurang private villas – one two bed-room and two, three bedroom units – sit peacefully side by side on the western cliff-side, each within their own 500-square-metre slice of land. 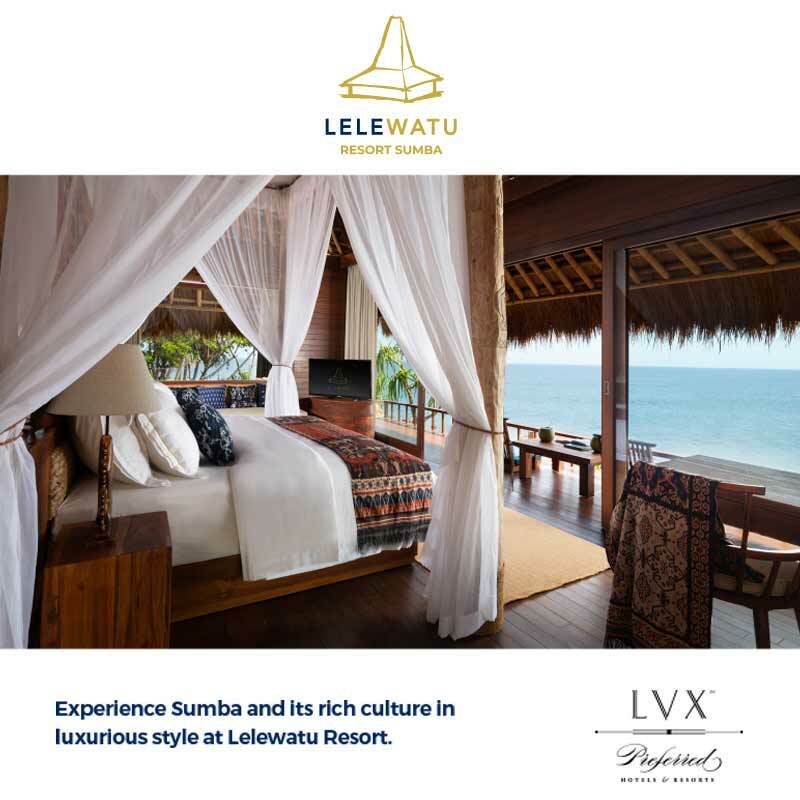 Accessed via ornately carved teak wood doors, steps lead down to an alluring 50-square-metre pool and adjacent open-air sunken gazebo, housing an outdoor dining space and lounge earmarked for leisurely lunches and sundowners. A main pavilion houses two ensuite master guestrooms on a split-level set-up, guaranteeing privacy and equally tempting options. The upper room (one of the property’s largest), overlooks the pool from its spacious deck and daybed and within, its semi-open bathroom features Sumba stone, repurposed ironwood cladding and custom-made Javanese polished cement floor tiles, for a tropical island-meets-colonial feast. Snuck down on a lower floor, accessed by discreet stairs, your second gorgeous hideaway reveals a secret sun terrace and low-ceilings created from Ajiro rattan, hand-woven in Borneo. Jurang’s three-bedroom villas follow a similar layout and style, albeit with additional guestroom. 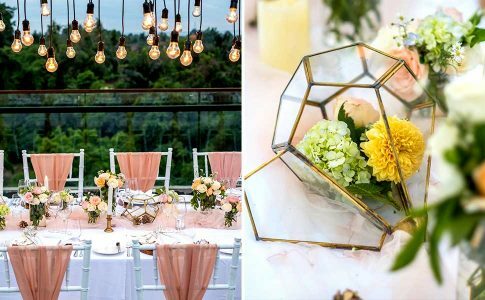 For all villas, bookings can be flexible, from blocking off all three Jurang’s, to just one room with full use of facilities they also make sublime clifftop venues for small weddings and private celebrations. 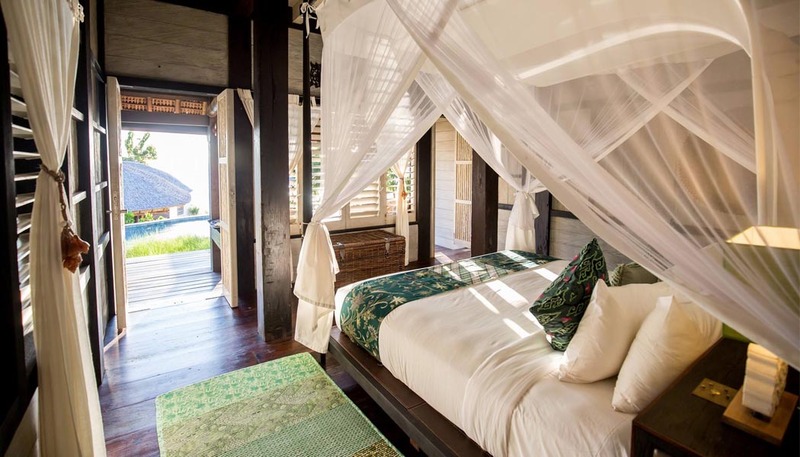 But perhaps equally gobsmacking are the rates: Bajau starting from around USD1,500 and Jurang, USD900 excellent villa value (do the math’s), especially for sets of couples and surfing buddies. Seems anyone can enjoy the high life.